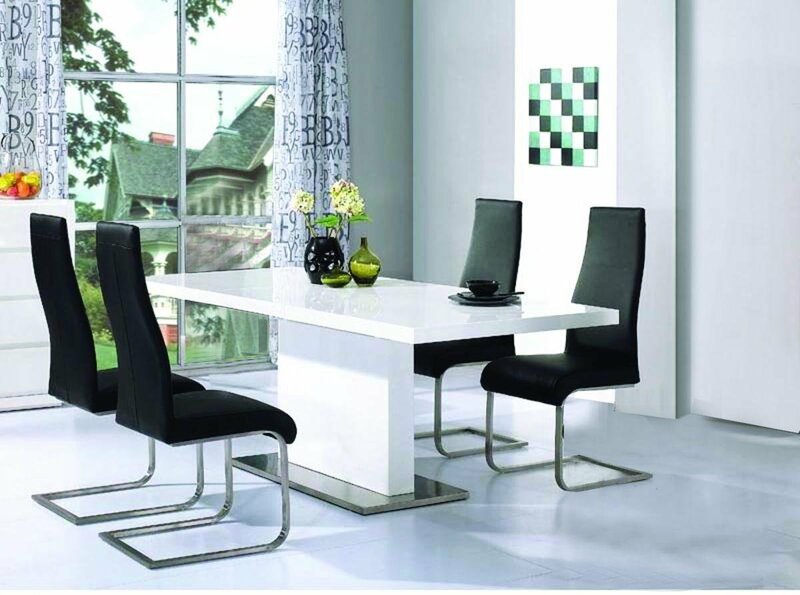 This highly modern Dining Set is perfect for any new home with a modern and stylish theme. A beautiful, White High Gloss table with a minimalist design is stunning without being imposing, and with a Stainless Steel base, you can trust that its durable. Set is complete withy four Chaffee PU Dining Chairs. With chic PU Leather cushioning and sleek Chrome supports, this set is the height of class. Chairs and Table are also available separately if you only need the one beautiful features in your home.